The grand opening and reception for renowned nature photographer Craig Blacklock’s new book, “St. 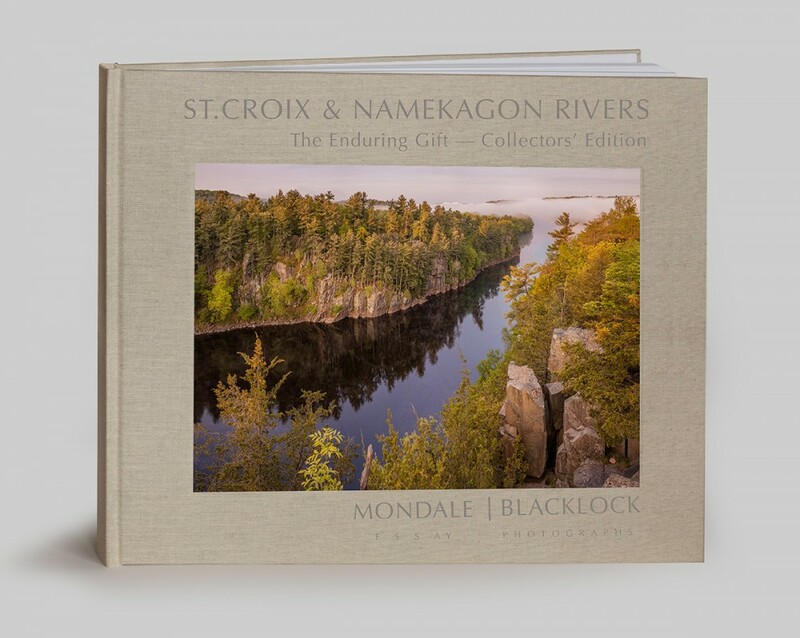 Croix & Namekagon Rivers: The Enduring Gift,” will be on April 19th at the Mill City Museum in Minneapolis. Guests are invited to browse the photo exhibit showcasing prints from this incredible new book while enjoying wine and hors d’oeuvres beginning at 6 PM. At 7 PM Craig will lead a short program with people that were instrumental in crafting this work of art. The evening will end with music by Peter Mayer. The book includes a foreword by Vice President Walter F. Mondale, who has been invited to participate as our special guest. To register for the grand opening, please click here. If you are interested in shuttle service departing from Marine on St. Croix or the Stillwater area, please click here. The event is one of many in 2018 to celebrate the 50th anniversary of the St. Croix National Scenic Riverway, which became a national park with the passage of the Wild & Scenic Rivers Act in 1968. Thanks to federal protections, the Riverway — which includes the St. Croix and Namekagon Rivers — still offers clean water, breathtaking beauty, and abundant recreation. « Rivers Are Alive – Homeschool Week!